June 2014 will see the arrival of our new Flavia Fabulous Froths branded speciality range of drinks - a delicious treat for the working day! Helping you to create authentic speciality, coffee-shop style beverages without leaving the workplace. 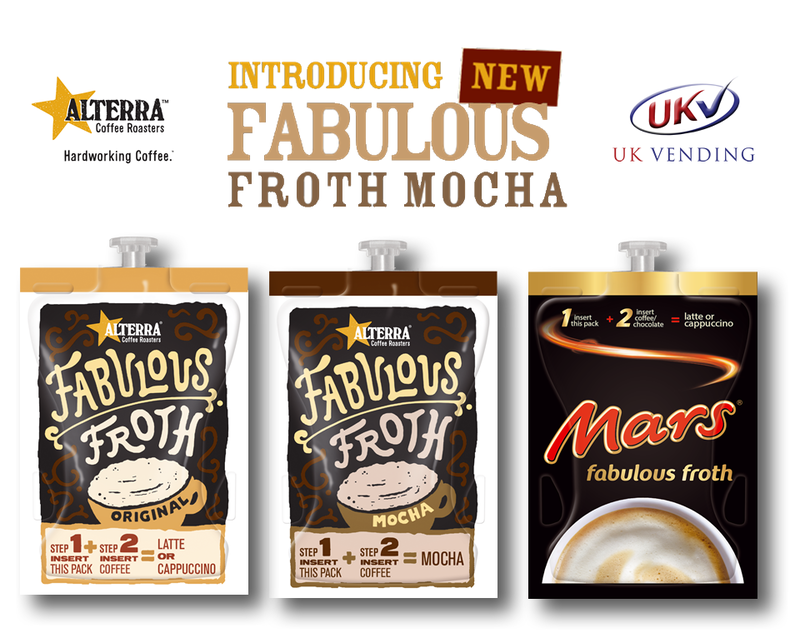 Fabulous Froth Original and Mars Fabulous Froth will replace our existing Cappuccino / Latte Swirl (F318) and Mars Swirl (F352) respectively. Consumer testing on the existing recipe for Cappuccino / Latte Swirl confirmed that no recipe change was required! So these drinks are simply getting a makeover with a new name and packaging.